Google Glass is a product that is launching as the start of an innovative industry with the new format of ‘wearable technology’, but is it a wise move to combine it with another market that prides itself on ‘innovation’? The Glass headsets are currently forging their way into public consciousness, though disillusionment may come from some eyewear purists with their decision to allow their product to be Frankenstien-ed onto some ‘chic looks’ made by fashion designer Diane von Furstenberg for a fashionable approach to glasses that Glass will sit on as a second layer. 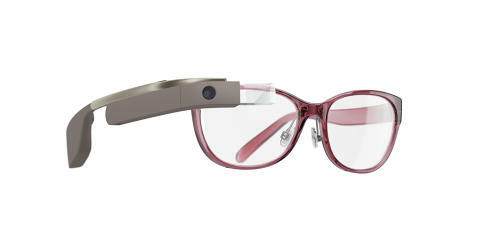 Google’s plans alongside von Furstenberg’s DVF label are noted as being ‘limited edition’ designs, though it marks the first time that visual design of the augmented reality product will have come from a source other than Google themselves. The new range, which will launch on 23 June, will be provided in the form of 5 ‘new frames’, and supported by 8 different types of sunglasses, all carrying the DVF logo. Sales of the new format for the converted single-eye product will come from American websites Net-a-Porter and its sister service Mr. Porter, along with Google, still limiting the product to its native market, aside from those willing to pay a little extra in postage costs and a lack of local-based coverage.